We all get it. 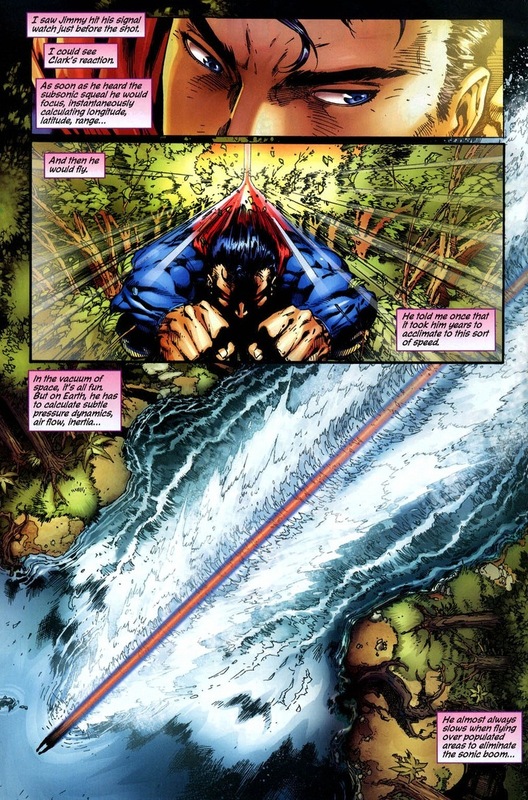 Superman has a bijillion powers and is stronger, faster, and tougher than any superhero alive. So what? Embrace it! While I love a hard-boiled detective noir with clues and struggles as much as the next literary connoisseur, many times I just want to read a big strong guy who punches bad guys really hard. Today, we’re getting just that. Slip into your Aquaman boxers and Green Lantern Snuggie, because we’re getting see Superman being Superman. Zero apologies. 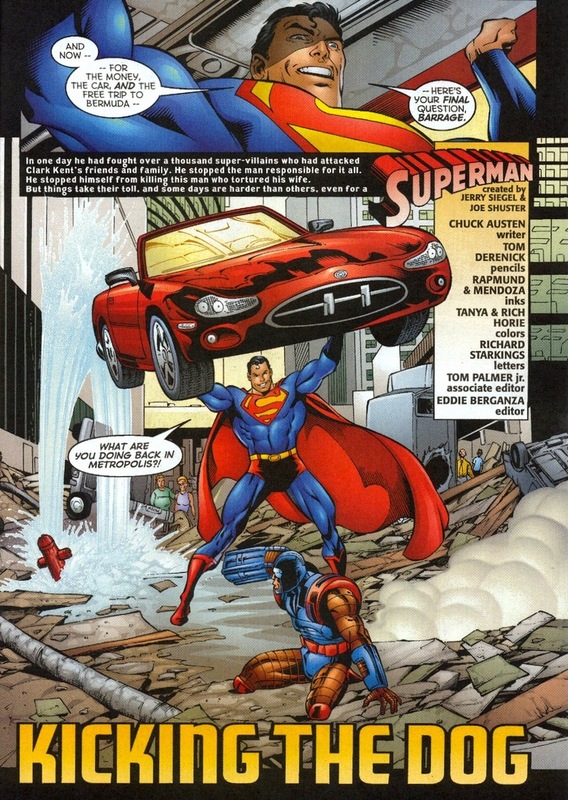 Check out Superman #217, written by Mark Verheiden and drawn by Ed Benes. 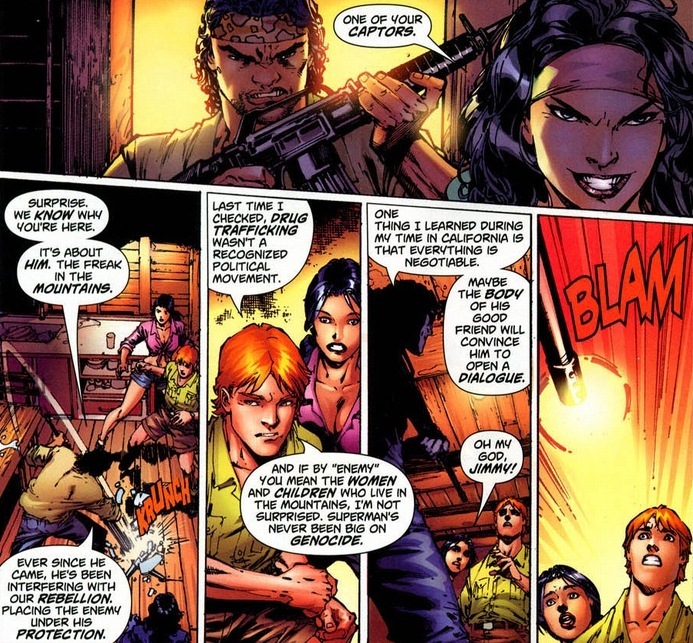 As required by DC law, Jimmy Olsen and Lois Lane have been kidnapped. 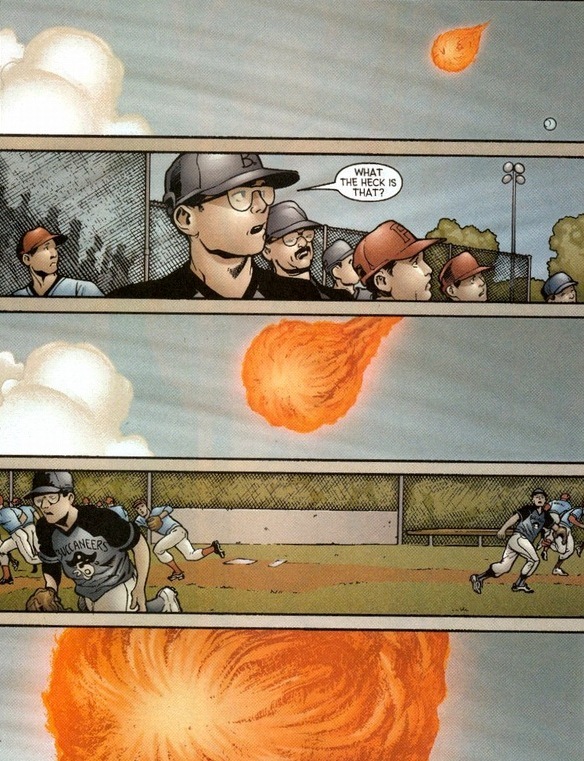 Interesting to note: the next few pages start from when the bullet’s fired. You remember the signal watch from the old days? 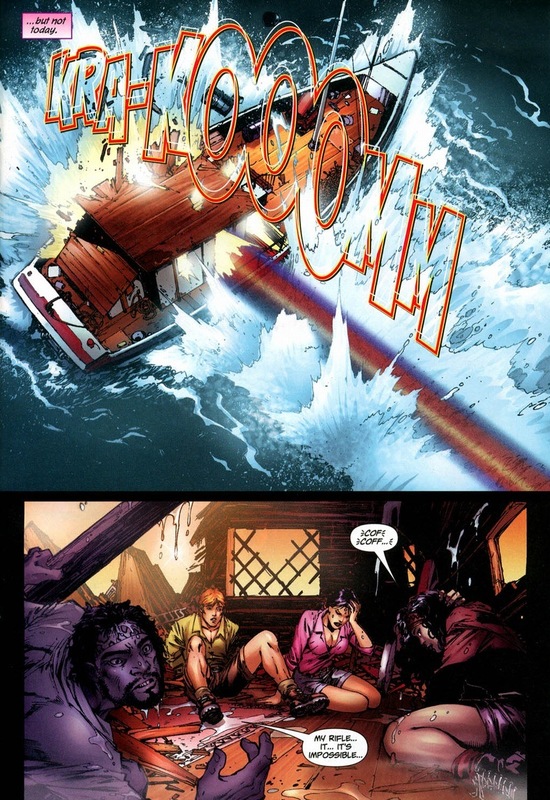 Jimmy Olsen got into so much trouble that Superman gave him a little tool that instantly alerted the Man of Steel when something went wrong. Like once an issue. Now I don’t want to cry foul, but most journalists got their Pulitzer without the help of the most powerful being on the planet. Enough goodie-goodie stuff. 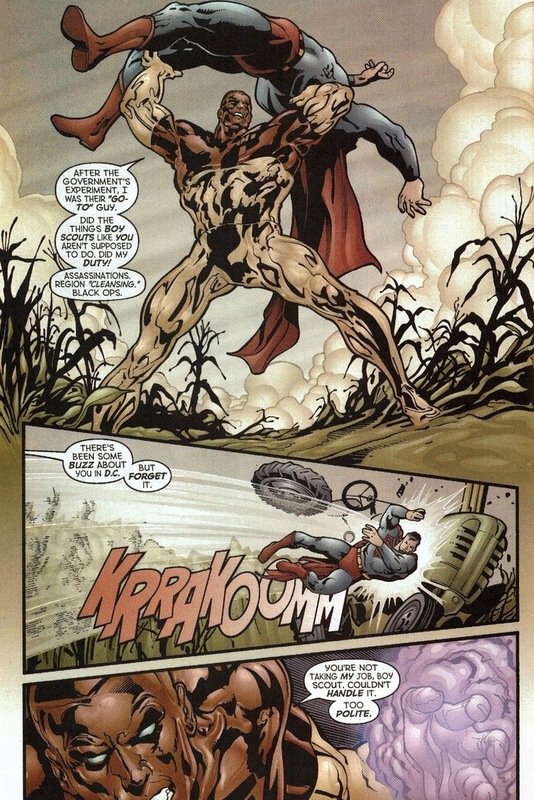 Want to see an insane Superman? 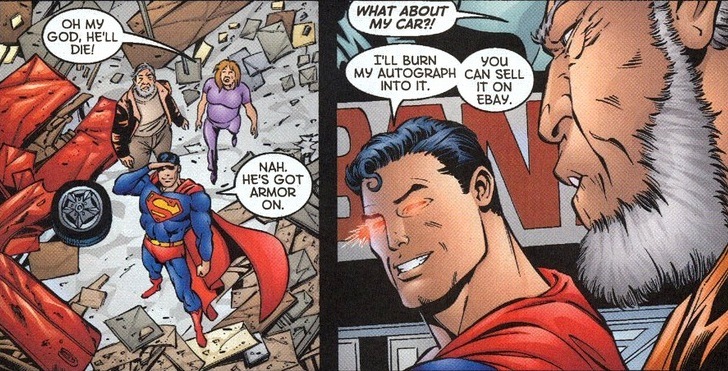 In the Silver Age of comics, Superman was well-known for being a jerk. Whole websites are devoted to that. 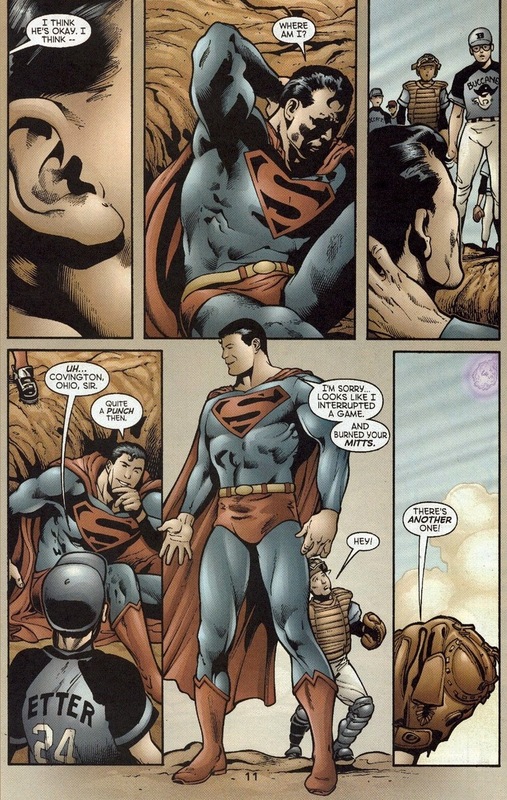 Every once in a while when PTSD sets in, the Man of Steel reverts for a few precious hours. Don’t feel bad for Barrage. 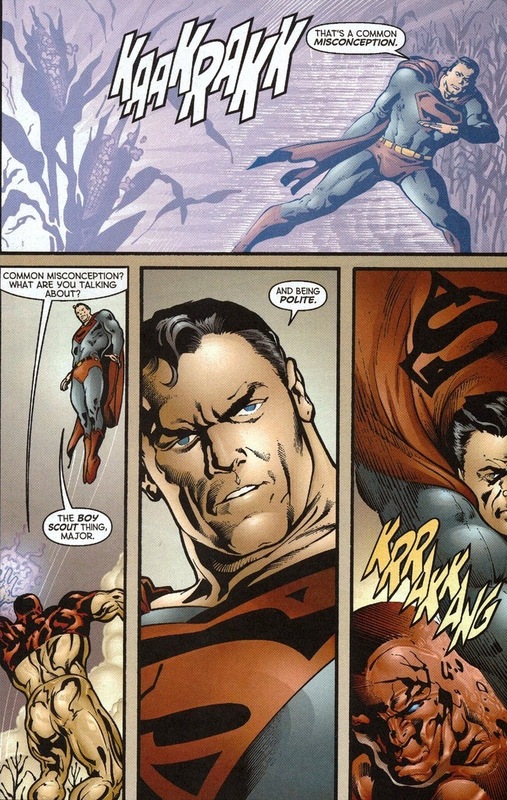 The guy’s a joke and he knew better, especially when Superman knows who you are. He has some armor that gives him some protection, and truthfully, he’s the type of supervillain that Batman would just Robin after instead of wasting valuable time pursuing himself. The pantsless Robin. By the way, that’s the end of the fight. No plans to lock Barrage in prison or catch him just as he wet his pants. 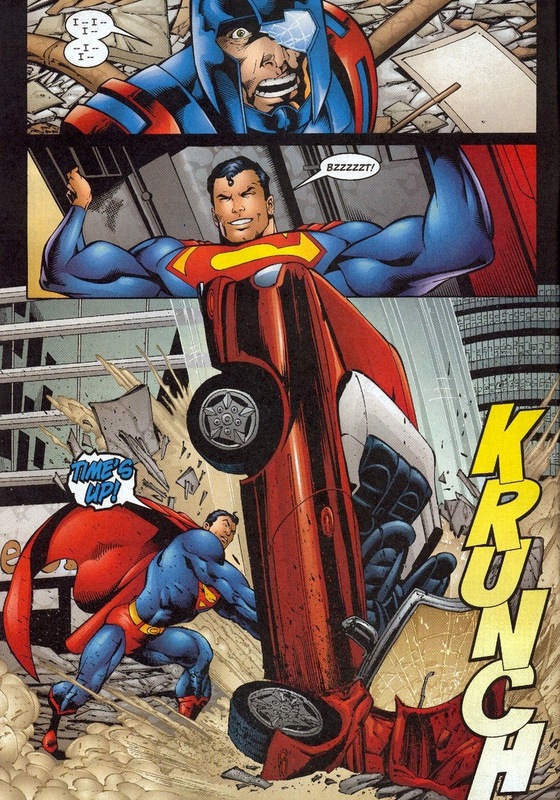 Nope, Superman chucked the guy a few miles and now he’ll go about his day. The end. 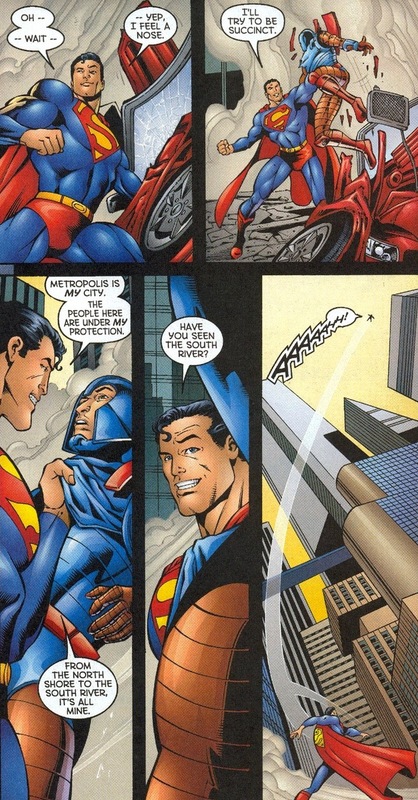 Of course the real plot involves Superman visiting sick children in the hospital. I’m serious. He can bench press the moon and he’s a better person than you. I don’t want to say that Superman’s a teacher, but sometimes school has to be in session. 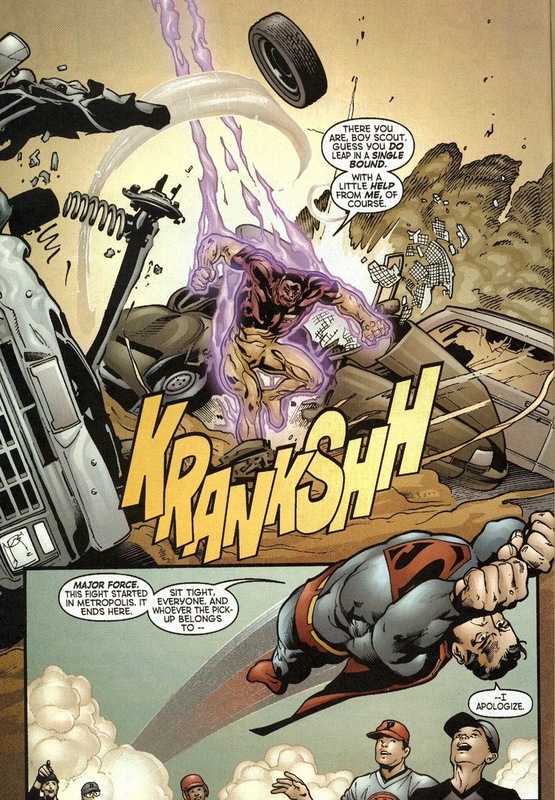 Like in Superman #185, written by Geoff Johns and drawn by Brent Anderson. The man’s a gentleman, can’t deny that. The kids would be lucky to get so much as a growl from Batman, though a hit like that would most likely just cover the team in Batman goo and batarangs from the once-Dark Knight. Next, Major Force makes a major mistake. 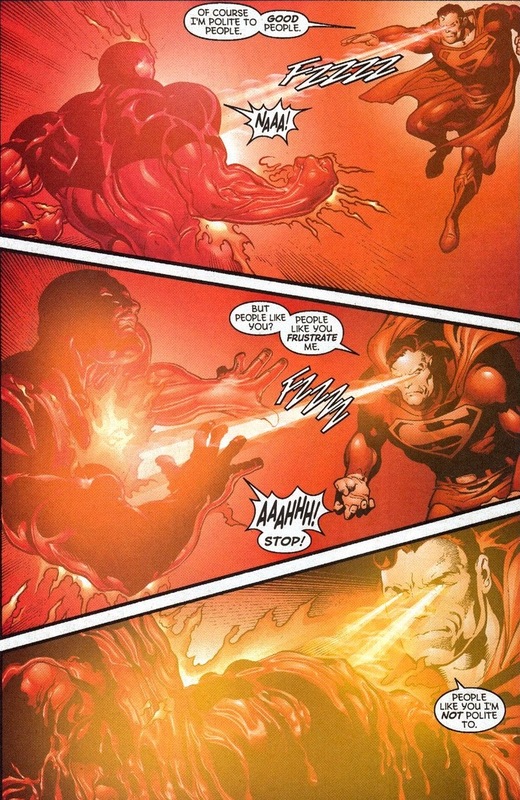 Well, that and starting a fight with Superman. 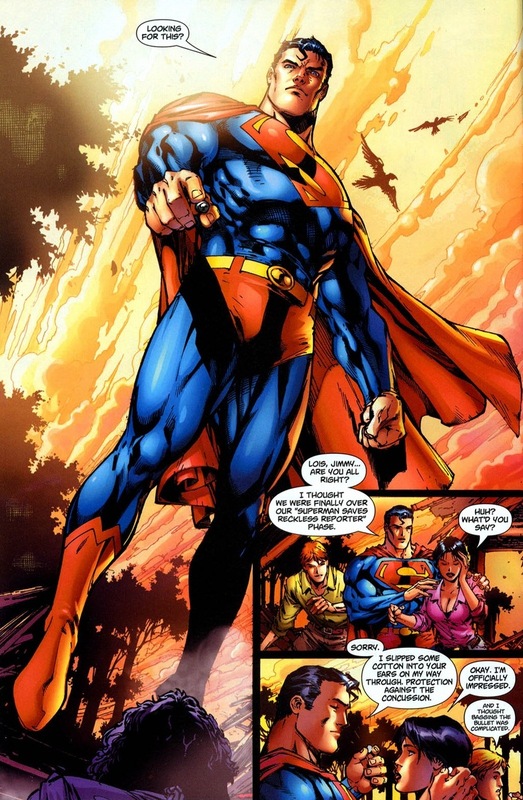 Y’see, like most supervillains, Major Force believes that he can take advantage of Superman’s kindness and unwavering morality. 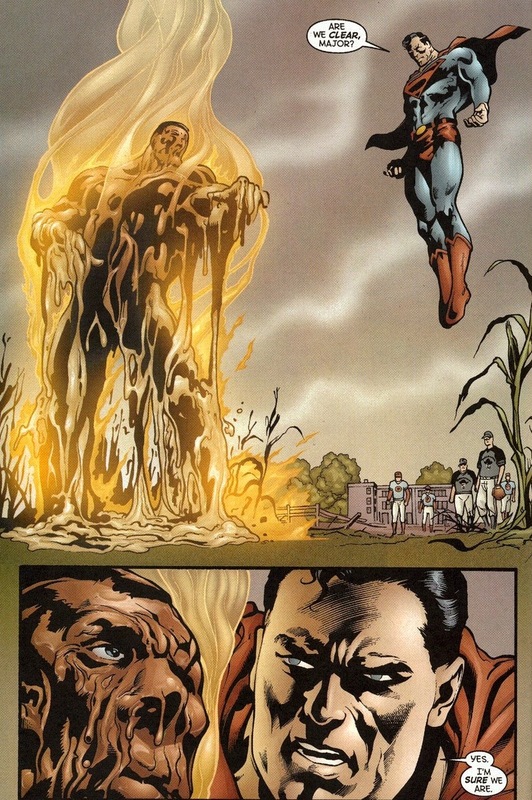 I mean, Superman won’t kill him, but understand this: maybe some skepticism would do a supervillain good. 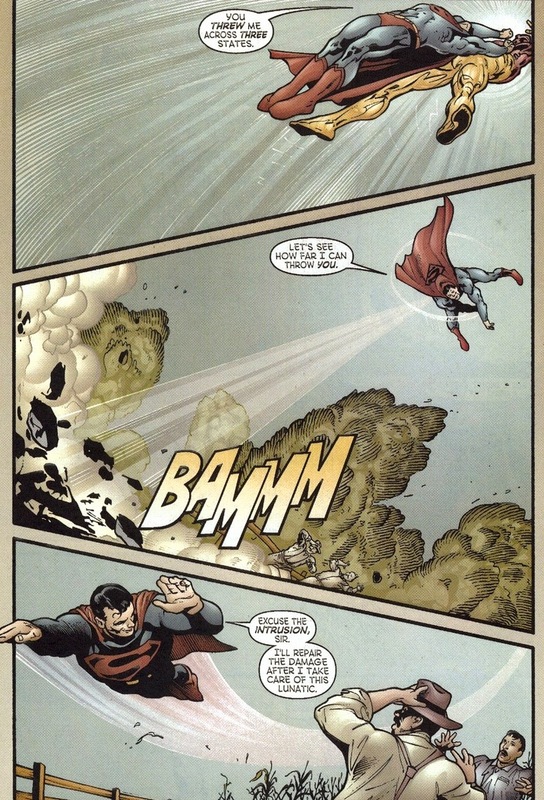 If you don’t love Superman, you’re wrong. Absolutely wrong.